Hans posted about the ZT2R a while back and I'm interested in it since it actually has something different - wider receive abilities. I've said it before and I'll probably say it a bunch more - I like having options. I first thought it was a clone of my Yaesu VX-3R, but someone pointed out in the comments that it is really the discontinued VX-2R. Because it looks to be a VX-2R clone or just a rebrand (including using the VX-2R manual - direct link to PDF), I wonder if the technology and even the manufacturing capability was sold to Zastone. My former company would sell its older manufacturing lines and technology to our China partner, so I'm sure it does happen. Here is the link to the product page on the Zastone site. It is available on AliExpress for around $82 (USD). Someone I know, bought a couple of these. Definitely more than a clone. The programming cable AND software for the VX-2R work fine with it. Also on eBay. 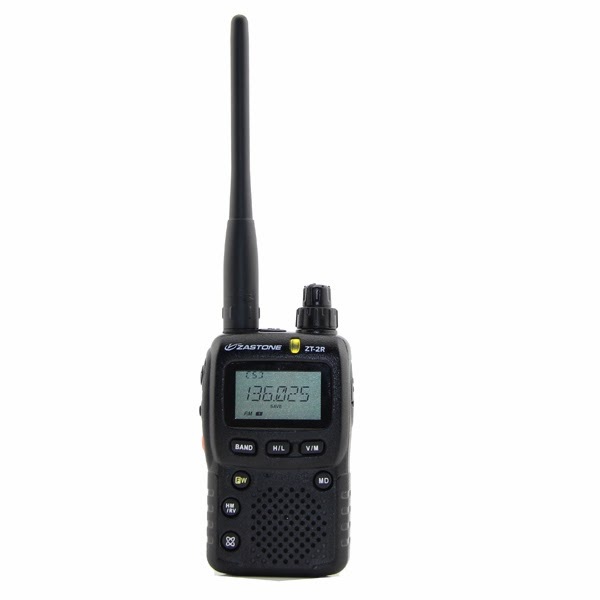 a Yaesu radio for just 82 USD? Wow...!! Any updates or more info on them? Are you or do you know of anyone else planning on doing a review or comparison between them and the real thing? bought one of this radios on Dec 13 . Seems like VX2 discontinued. But, the software seems not as good as orginal. A lot of birdies in the 70 cm band, no work of cpu clockshift . Sometimes the CPU kicks off. Pushing out battery for reset. Software for readout is ok, but if you write back, nothing works. BC Band from 450kHz to 1600 Khz has a lot of mechanic oscillation by higher Audio Level. Not very good designed, my opinion. My Radio seems a bad copy of vx2, sorry to tell.